Sostenuto will be tackling these issues: the project aims at testing innovative practices – incubator, cluster, LETSystem, new modes of territorial governance – within the cultural sector, modelling these experiments and fostering their dissemination and their appropriation in the Mediterranean zone and beyond. 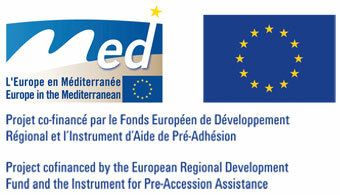 A business incubator : CADO (Marseille - France) back up cultural entrepreneurs in the development of their projects with shared services and accompaniment in the structuring and the long term development of their structure. A cluster bringing together enterprises in the arts and craft sector (Chiusi – Italy) stimulate the development of their competences and economic activities. A local exchange trading system (Ljubljana - Slovenia) allow inhabitants, NGOs and institutions of one of Ljubljana’s district to trade know-how, services and competences. Territorial governance, as a method of consultation (Kotor - Montenegro and Liguria - Italy) target a better inclusion of the cultural sector in territorial development strategies. On the basis of these experiments, scenarios will be drawn addressing the necessary conditions for the emergence of new forms of economic and social organisations in the cultural sector. The results will be disseminated at a local level (the partners’ territories), at the regional level (the Mediterranean zone) and at the European level, through various means, and especially: a website, 3 transnational conferences and a Green Paper.